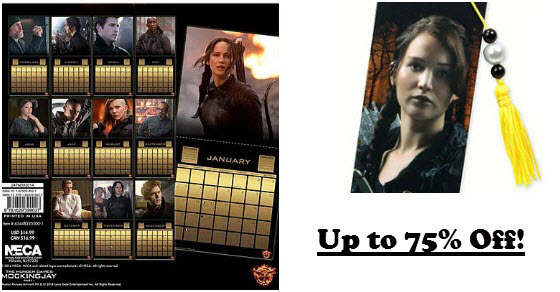 We just found a great deal at Calendars.com on Hunger Games merchandise. 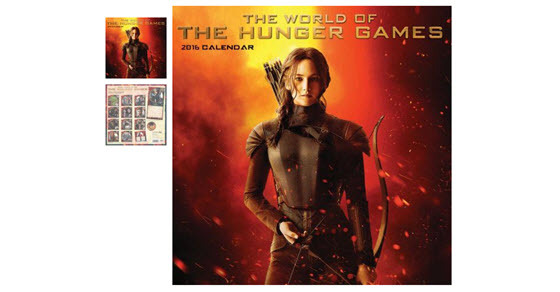 They are running a sale for up to 90% off calendars, but they also have other Hunger Games products up to 75% off. Get the 2015 Wall Calendar (regularly $14.99) for only $3.74. It has 12 beautiful big pictures from Mockingjay Part 1. Hunger Games Katniss Bookmarks (regularly $3.99) are on sale for $1.99. These would be great to give to students or as party favors when the movie comes out in the fall. Shipping is free if you spend $25 or more. 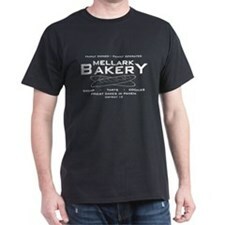 If you spend $20 or more, you can get 15% off with coupon code JUNEDEAL. Your best deal is to order 2 calendars to get free shipping. Those can be mixed and matched so you could actually order 1 Hunger Games calendar and 1 of something else. Check out Calendars.com today before everything sells out!